London, 30 January 2013 � Olympus Micro Four Thirds system cameras have made high-performance photography more accessible than ever before � and now Olympus has a new, affordable system lens that does the same for dramatic telephoto shooting. The M.ZUIKO DIGITAL ED 75-300mm 1 :4.8-6.7 II telephoto lens boasts the high focal lengths that bring far-away objects vividly to life with superb-quality close-ups. Olympus has redesigned the lens to match the distinctive OM-D E-M5 and PEN series cameras, but like its predecessor it still boasts first-class components including the MSC mechanism and the new, advanced ZERO lens coating. Together these deliver outstanding image quality even in bright light. 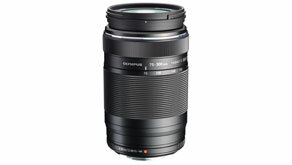 Compared to previous lenses of this calibre, at �499.99 the price is very competitive. This state-of-the-art lens goes on sale in March 2013. The compact M.ZUIKO DIGITAL ED 75-300mm 1:4.8-6.7 II weighs just 425 grams but still features extraordinary optical engineering that opens up a swathe of creative shots. Super ED (Extra-low Dispersion), ED and HR (High Refractive index) lens elements benefit from the ZERO coating that effectively eliminates ghosting and flaring across the entire zoom range, even in bright light. Professional-looking bokeh is one of the main attractions of any high-quality system lens, so Olympus fitted a circular aperture that ensures smooth and even background defocusing. The autofocus mechanism is extremely fast thanks to MSC (Movie and Still Compatible) technology that is also near silent, making this lens ideal for capturing pristine HD movies as well as stills. the Olympus website at http://www.olympus-europa.com for the latest specifications.